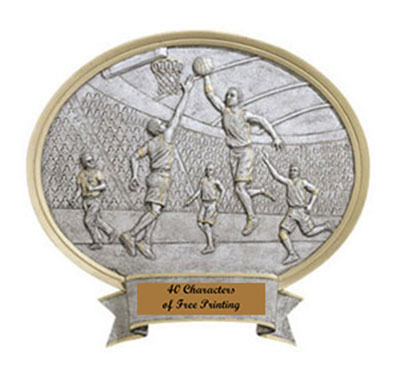 If you are shopping for basketball plaques or awards to present to your high school, college or youth basketball team; please take a few minutes to check into our high quality basketball plaques. 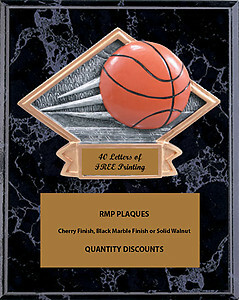 Our prices start at $4.35 for the 4 1/2" by 6" and go up. 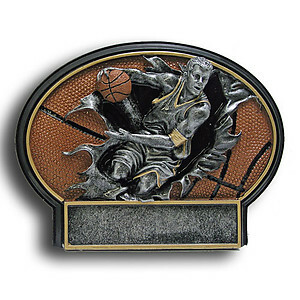 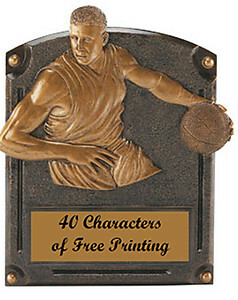 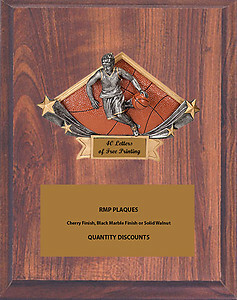 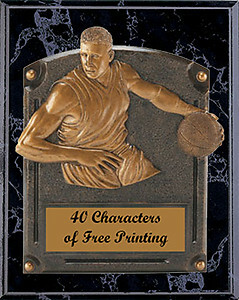 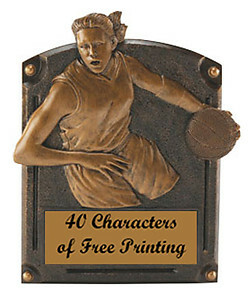 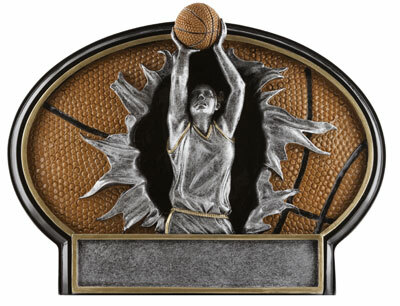 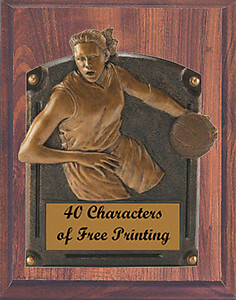 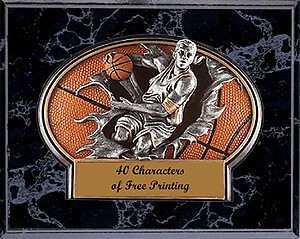 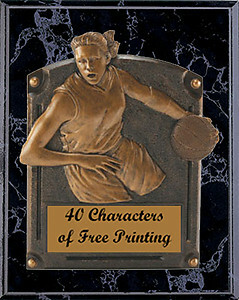 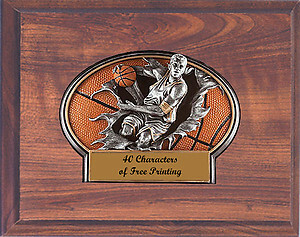 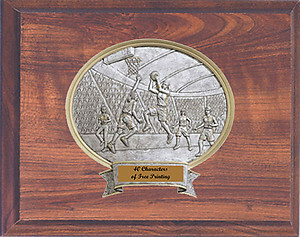 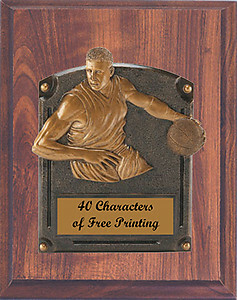 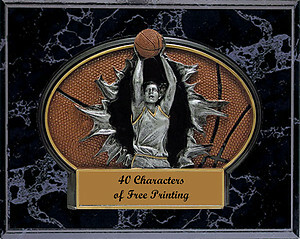 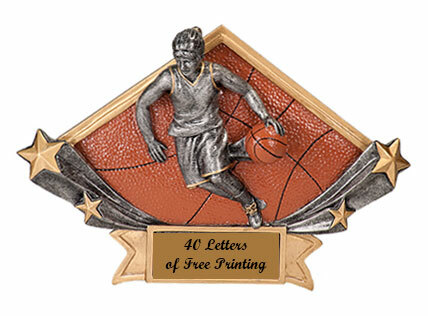 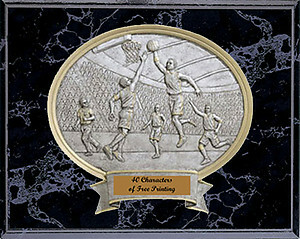 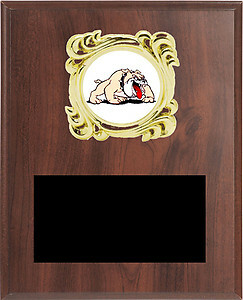 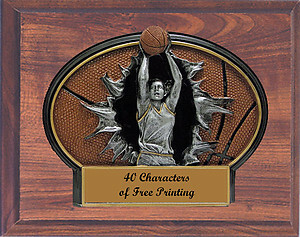 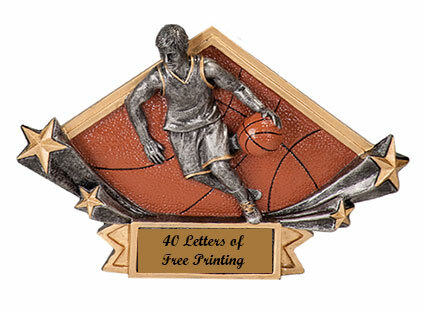 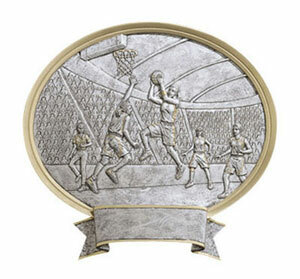 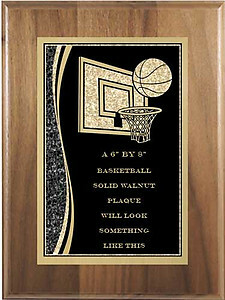 We have a very large selection of basketball plaques and each includes 40 characters of free engraving. 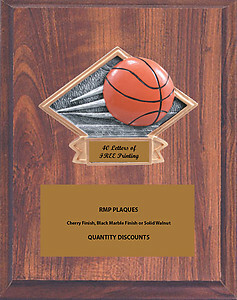 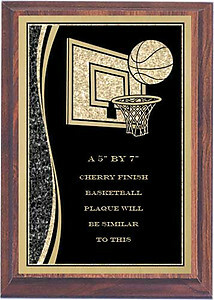 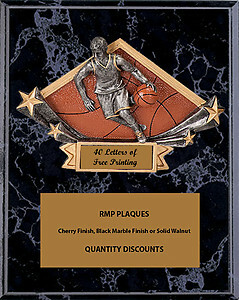 You may choose a basketball plaque in cherry finish, black marble finish or beautiful solid walnut. 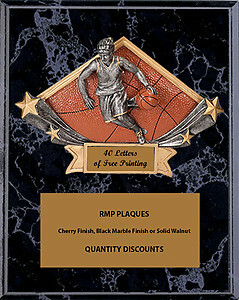 We also have the resin basketball plaques, which I think are very nice and come with their own presentation box. 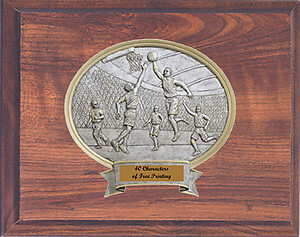 All our basketball plaques would be perfect to award players and coaches at basketball tournaments or year end ceremonies. 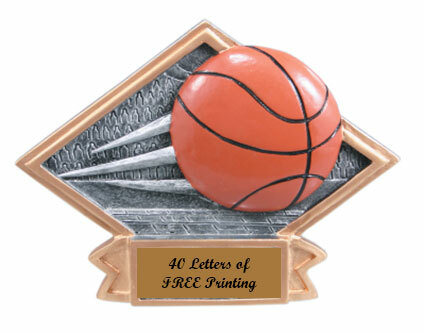 For more imformation on prices, production time, engraving and to place an order, click on an image below.